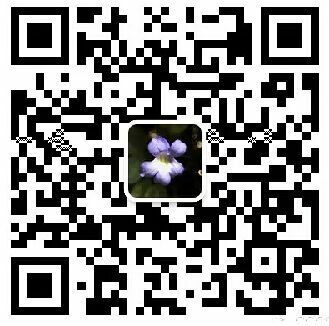 The Gesneriad Conservation Center of China (GCCC) is the world’s first organization established to save gesneriad species from extinction. It was started in September, 2011, by Professor Wei Yi-Gang and Stephen Maciejewski. This was made possible with the help of many others, including Director He Cheng-Xin of the Guangxi Institute of Botany (GXIB) and President Paul Susi of the Gesneriad Society. From July 4th to the 7th 2012 a scientific delegation from the Guangxi Institute of Botany (GXIB), led by Director He Cheng-Xin, Professor Wei Yi-Gang, etc, attended the 56th annual convention of the Gesneriad Society in Seattle, Washington, USA. Members of GXIB delegation attended lectures and many other activities at the event. Two slideshow presentations, “Gesneriads in South China” and “Conservation of Gesneriads in China” by Professor Wei Yi-Gang, were well received and appreciated by the audiences, followed by many questions. Director He Cheng-Xin and President Paul Susi signed a Memorandum of Understanding MOU forming a partnership between the Gesneriad Society and the GXIB to work on conservation issues. The Gesneriad Society also provided a grant to help support these efforts at the GCCC and the GXIB made a matching donation. GXIB will also give considerable support to the fund and will assist the GCCC. The GCCC is developing procedures for the routine management and careful maintenance of the plants at the Center and in the Nursery, taking the necessary steps to ensure the propagation of seedlings, leaf cuttings and plants. The GCCC will also to be a place for the members of the Gesneriad Society and researchers from around the world to collaborate on research and conservation efforts. Staff and enthusiasts can also explore and observe known and new sites to find additional populations of endangered plants that can then be protected and conserved at the GCCC. Staff will also help with education and show living plants and images of gesneriads to the public (including: school students and anyone else interested in gesneriads) to help everyone understand the need to conserve these unique plants, many growing locally and to combine our efforts to save them for the next generation.